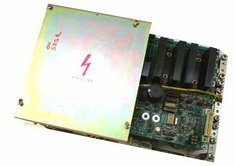 Fanuc Repair, Fanuc Board Repair, Fanuc Drive Repair, Fanuc Power Supply Repair. I have fast turn-around on Fanuc Parts Service and Board Repairs, also Power Supply's , Spindle Drives and Axis Drives. This also includes GE Fanuc, GMF, General Numeric, Fanuc Robots and Fanuc Power-Mate Board Repair. Location: America - Fanuc Parts and Repair. Our Fanuc USA located Service. We repair Boards A06B-, A14B-, A16B-, A20B-, also Fuji, Fujitsu Drives, Power Supply's , etc. Full one year Warranty on Parts and Labor ! "I am a Semi-retired CNC Engineer with very low overhead so I can repair your Fanuc Parts Fast and Cheap"
Fanuc Power Mate Repairs too. 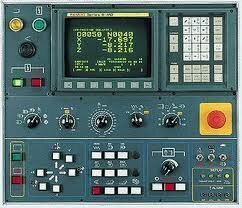 Fast Fanuc Repair Service for all Fanuc Controls! A02B-0050-C540 to 545 Fanuc 6T Oper. Pan. A02B-0051-C540 to 545 Fanuc 6M Oper. Pan. A16B-1210-0510 Fanuc 0B Fanuc 10 P.S. A20B-0005-0371 to 0379 Spin. Drv. Bd. A20B-0005-0450 3 & 5 PS Bd. A20B-0008-0430 6B CRT Puncher Intr. A20B-0008-0750 Tape Read. Photo Bd. A20B-1003-0010 AC Spindle Top Bd. Fanuc Hi-Speed Memory Check Prices! Fanuc 6/9/11/12 High Speed Memory Upgrade Sale! Fanuc 15A Memory Upgrade Sale! CALL FOR YOUR FANUC PART IF YOU DON'T SEE IT.